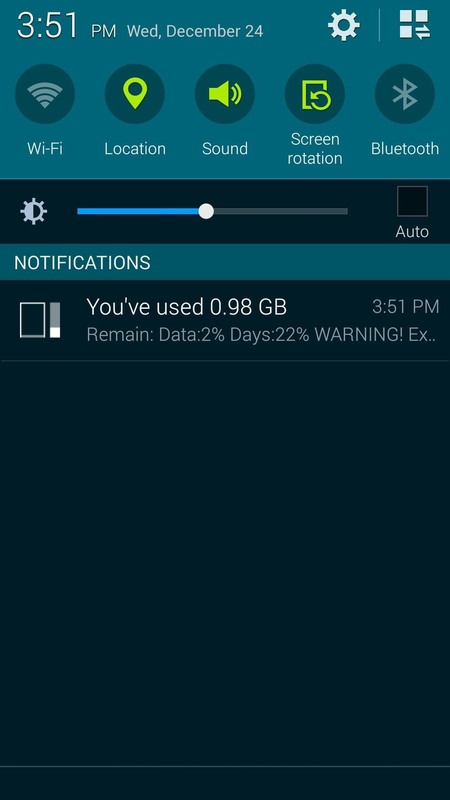 When you're on a limited data plan, bumping up against your monthly cap is a major concern. Overage fees are incredibly high these days, and being throttled down to 2G coverage almost renders a smartphone completely useless. Rather than let your data cap sneak up on you, wouldn't it be nice to always know exactly how many megabytes you've burned through in a given billing cycle? 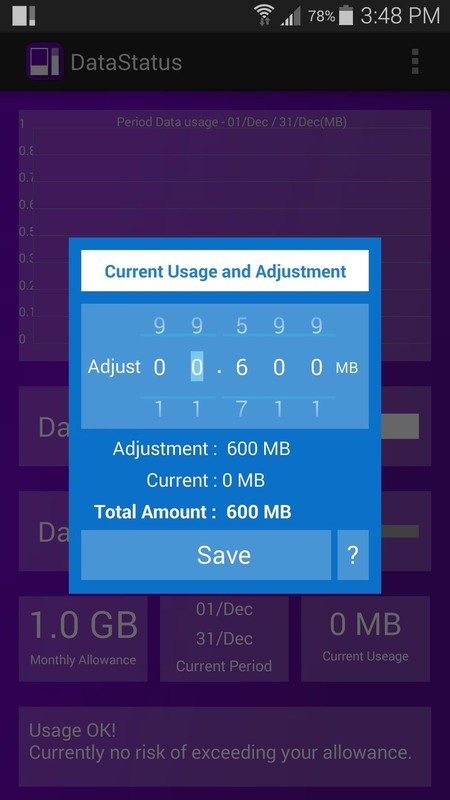 The development team at Flavour Monkey Apps thought so as well, which is why they created a tool that will display up-to-the-minute data usage info as a handy meter in your status bar. 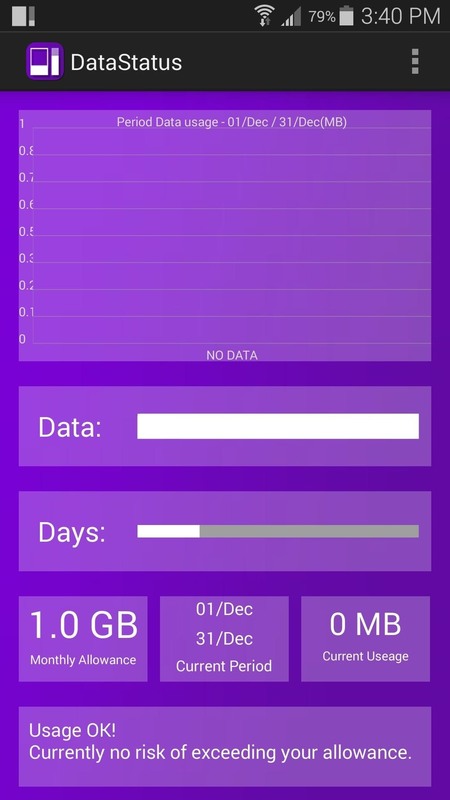 The app that will see to it that you never get caught off guard by your monthly data cap is called Data Status. 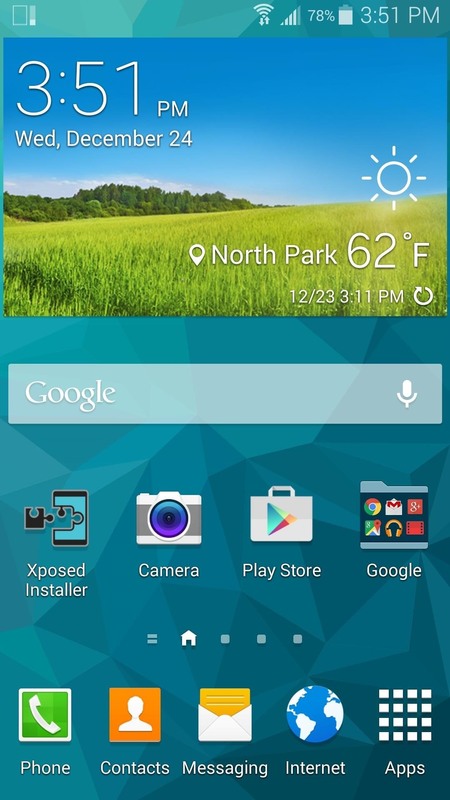 Search it by name on the Google Play Store to get it installed, or head directly to the install page here. The first time you run Data Status, you'll have to give it a little information to start it off on the right track. 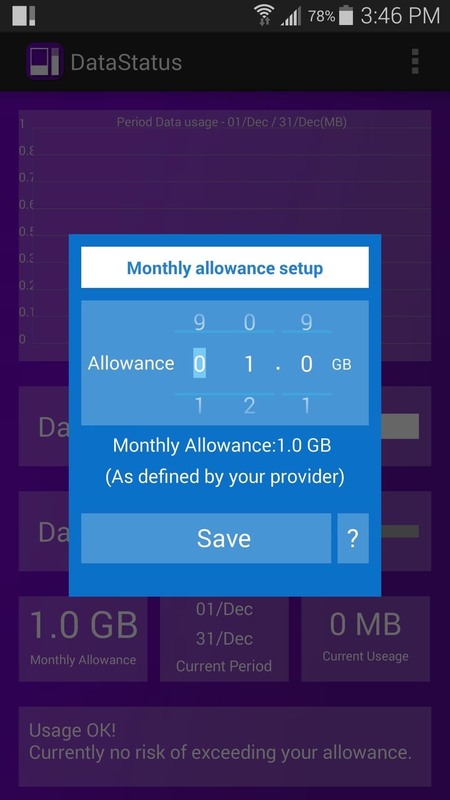 From the main screen, tap the "Monthly Allowance" button to enter your data cap info. After that, tap the "Current Period" button, then enter the start date for your billing cycle. 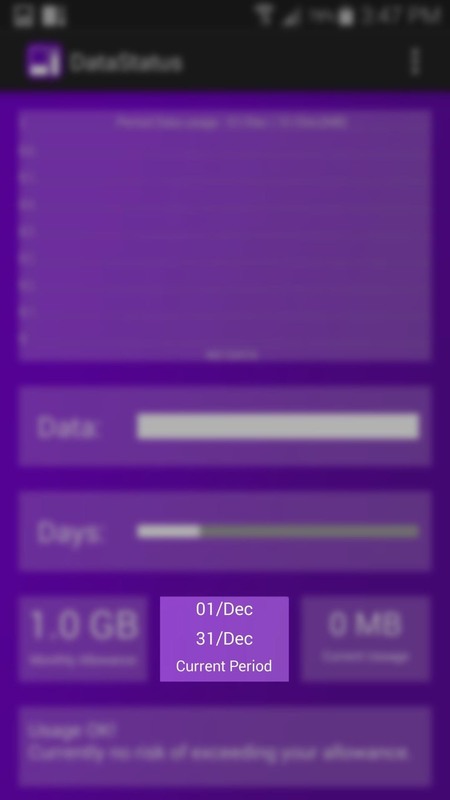 Now Data Status will know when to reset your data counter each month. Since your billing cycle more than likely did not start the second you installed Data Status, you'll have to enter the amount of data you've used so far in order to ensure accuracy. 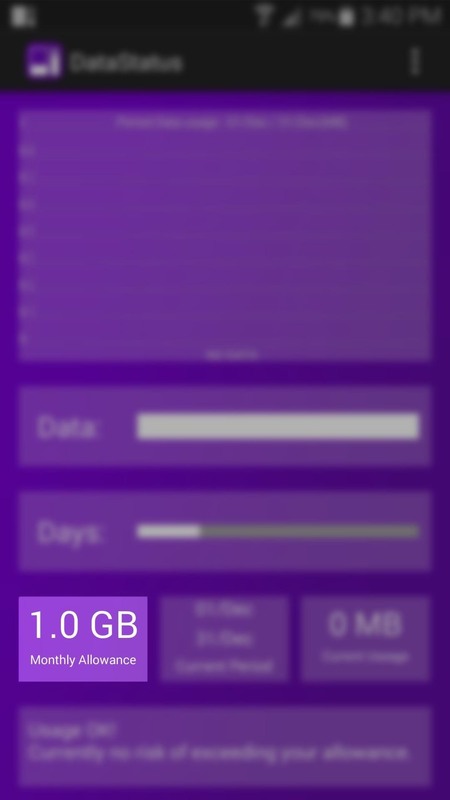 This information can be found on your carrier's website, so tap the "Current Usage" button to enter it. 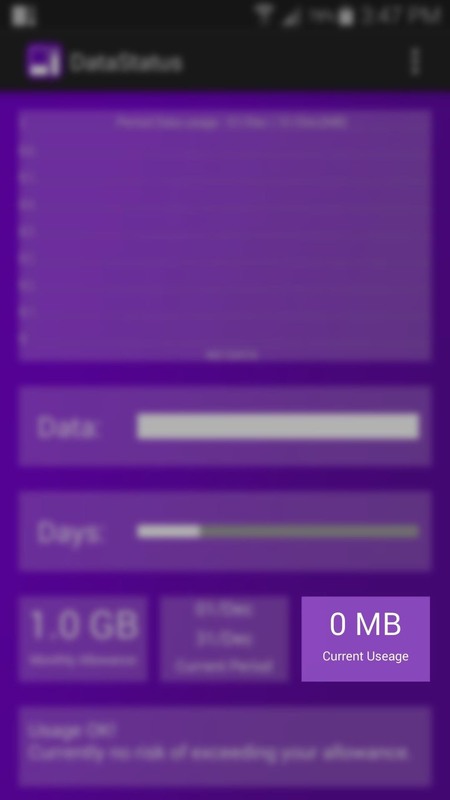 From now on, the remaining data you have in a given billing cycle will be displayed neatly as a meter in your status bar. For more detailed information, just expand your notification panel. 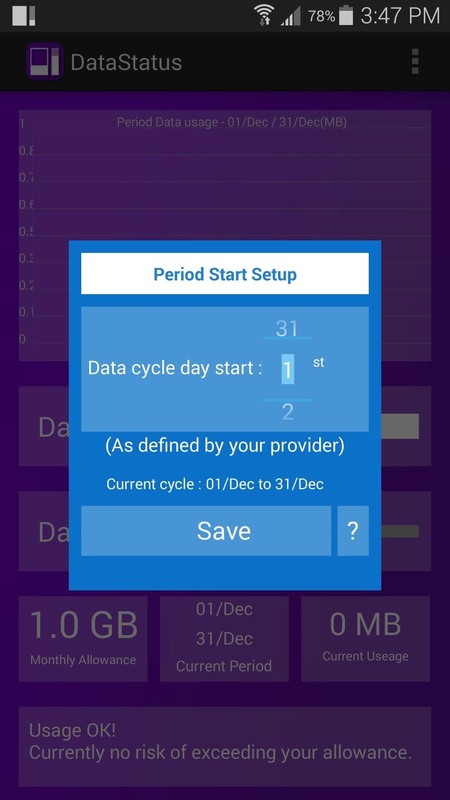 Has Data Status made it easier for you to keep track of your monthly data usage? Let us know in the comment section below, or drop us a line on Facebook, Google+, or Twitter. Maybe I'm missing it due to how busy the page is, but shouldn't there be a link to the Google Play page for this app? Yes, there's one in Step #1, but here it is again for you. New version of this app is out , and its awesome.